Preheat the oven to 350 degrees. 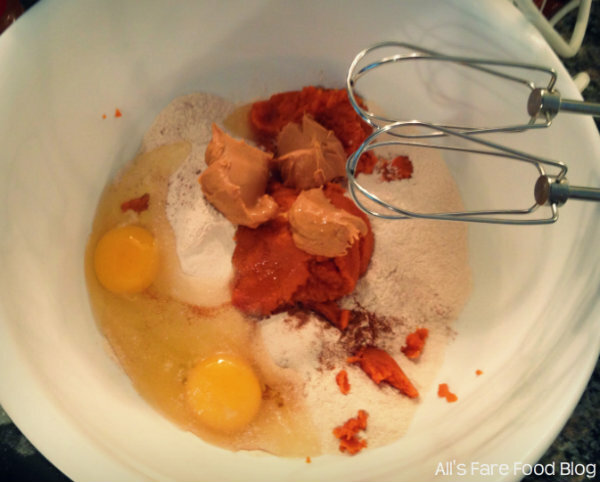 Mix all of the ingredients together in a bowl. Mommy used a hand mixer but you could use a food processor if you have it. If the dough seems to be dry, add a tablespoon of water at a time until it comes together into a ball. Now, if it happens to be too sticky, sprinkle some more flour to the dough, just a little bit. Lightly flour a work surface and dump out the dough. Knead it a few times until it forms a ball. 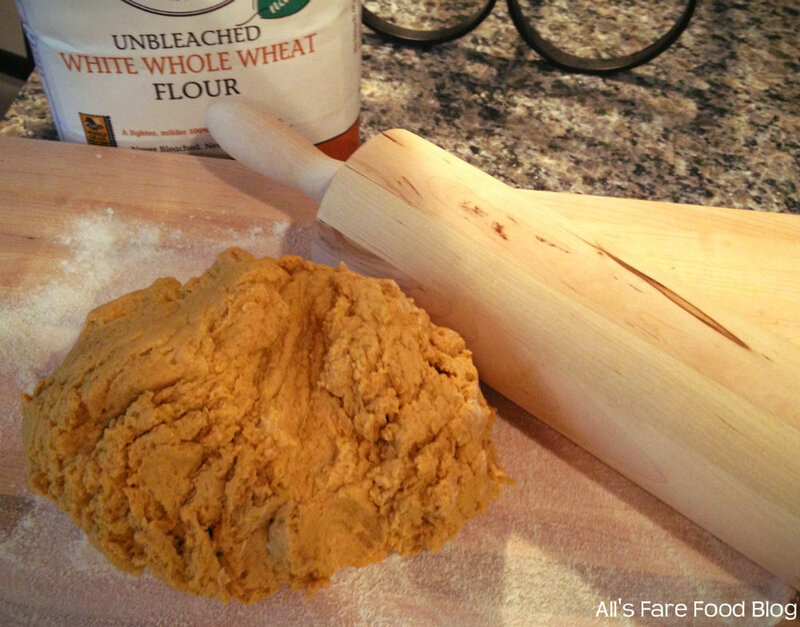 Using a rolling pin, roll out the dough until it’s about a quarter-inch thick. 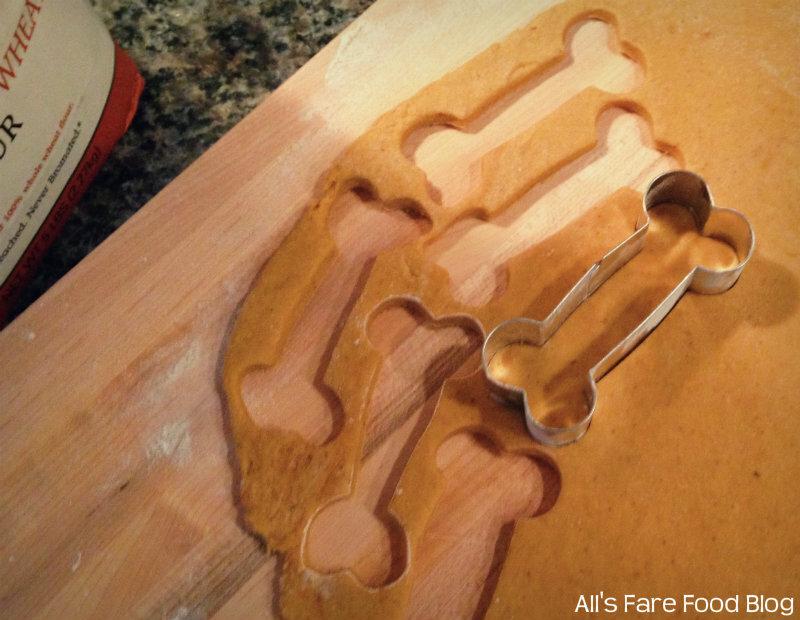 Using a knife or cookie cutters, cut the dough into shapes and place on a cookie sheet. You can re-roll the scraps of dough to make more cookies. 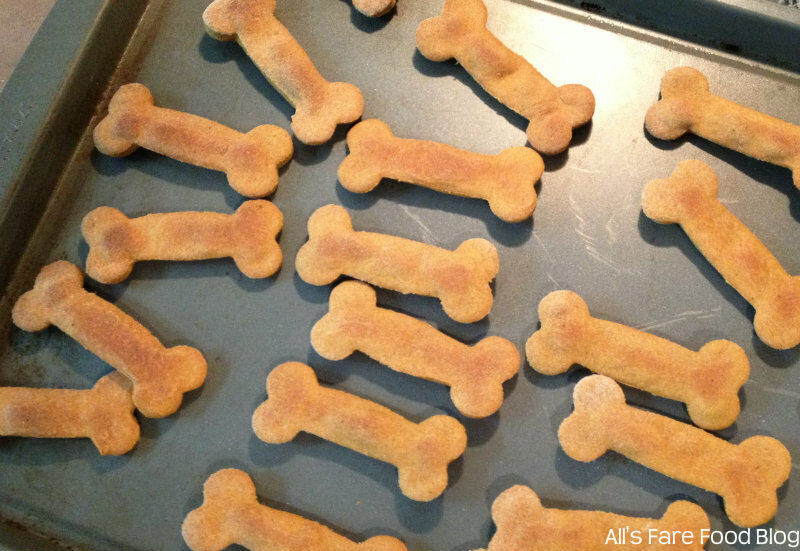 Mommy used a two-inch dog bone cookie cutter and the cookies filled up two sheet pans. Bake for 30 minutes at 350 degrees. The cookies will have puffed up a bit and have started to turn golden brown. Then, rotate the pans and flip over the cookies. Lower the heat to 300 degrees and bake for another 10-15 minutes, or until the cookies are hard. Remove from the oven and cool completely. Share some with Fido and store in a air-tight container. These treats are really, really yummy. I hope you like them as much as I do! 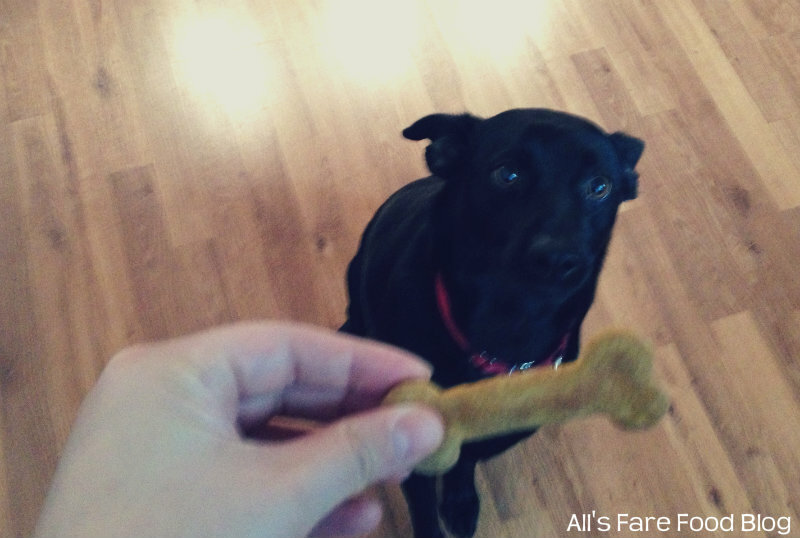 This entry was posted in Dakota's Musings, Food - General, Recipes and tagged Dakota, dog treats, homemade, Methuen, MSPCA, Nevins Farms, peanut butter, pumpkin, recipes by Christina. Bookmark the permalink. Really cute!! 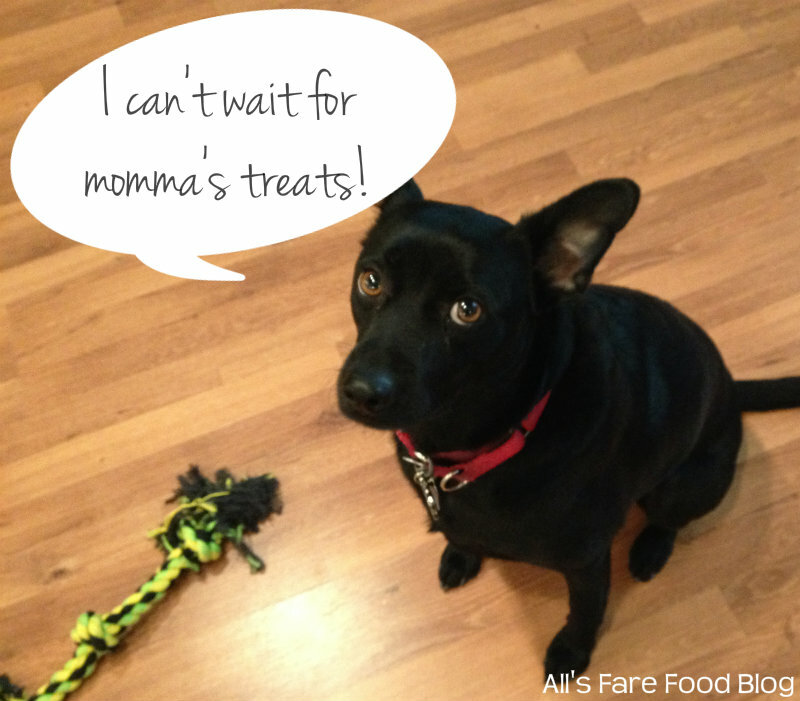 I bet my puppy would like a treat or two also! You are a great mom, Christina! The treats look so yummy!